The SL2-BRASS is a 9-port Gigabit Ethernet switch on a peripheral slot card for CompactPCI® Serial systems. 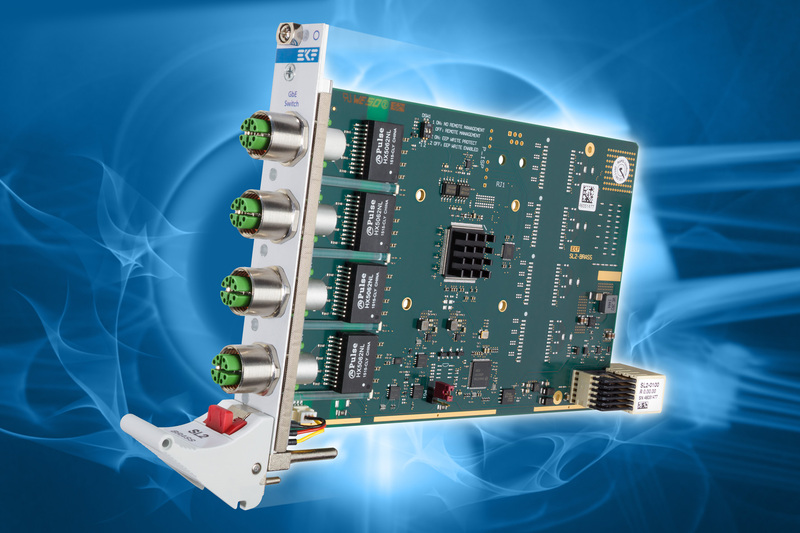 The on-board Marvell® 88E6390 GbE switch provides a rich feature set and includes an integrated microprocessor to enable lightly managed switches. 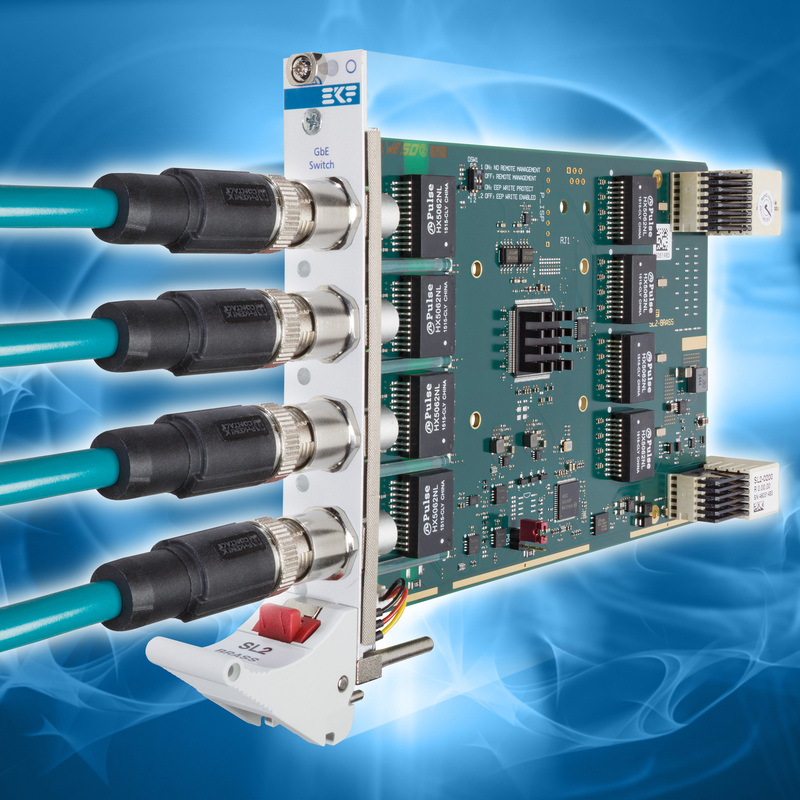 While four 1000Base-T GbE ports are wired to associated M12 X-coded front panel receptacles, another four GbE ports are available for backplane communication via the CompactPCI® Serial connector P6. M12 X-coded connectors are optimized for industrial applications, and also for railway usage. X-coded cables and connectors comprise four data signal pairs and comply with Cat6A. Hence, M12 X-coded installations are ready for the forthcoming 2.5/5/10G Ethernet. 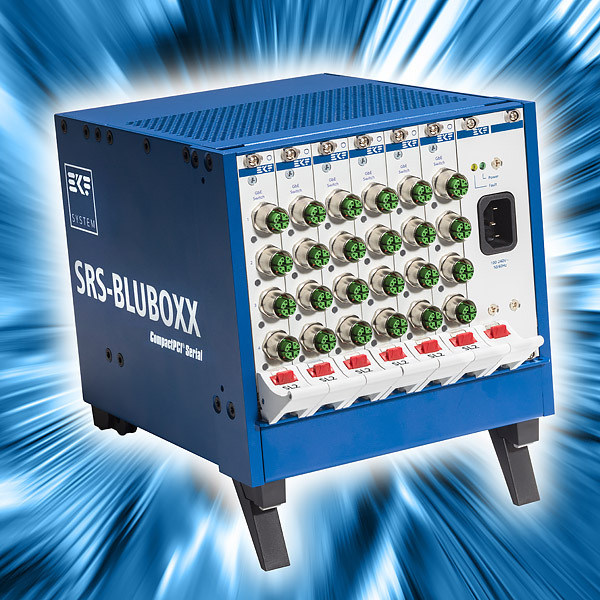 As an option, the SL2-BRASS is available with an Intel® I210-IS Gigabit Ethernet controller (NIC) in addition, which is internally connected to an SGMII/Serdes port of the GbE switch. Usage of the NIC is based on a PCIe Express® enabled CompactPCI® Serial slot (via backplane connector P1). The Gigabit Ethernet switch provides latest features such as 802.1 Audio Video Bridging (AVB/TSN) and Quality of Service (QoS) support. 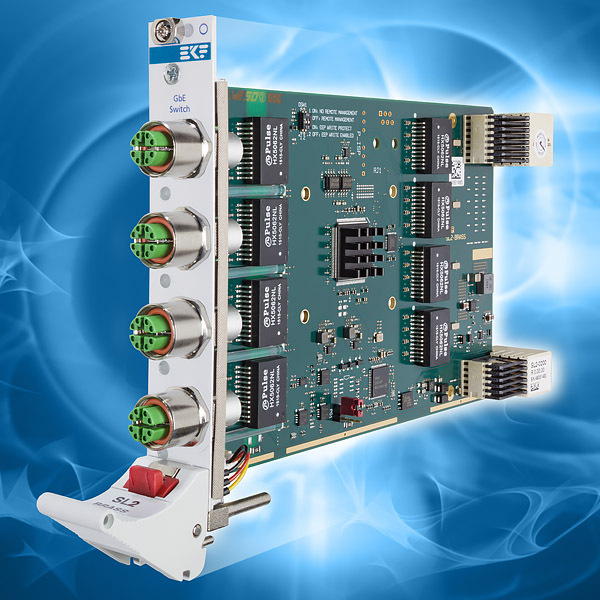 Multiple SL2-BRASS boards on a suitable CompactPCI® Serial backplane can be cascaded to a switch fabric with a scalable number of GbE ports, with or w/o a CPU card on the backplane system slot. 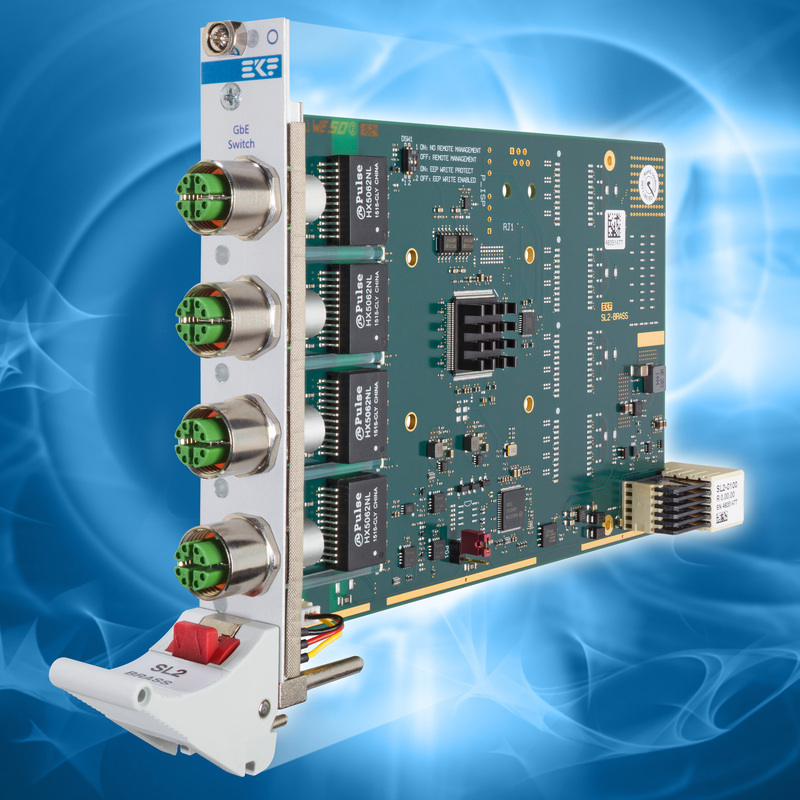 When completed with a CompactPCI® Serial CPU board and an LTE module carrier card, a high performance router system can be configured. 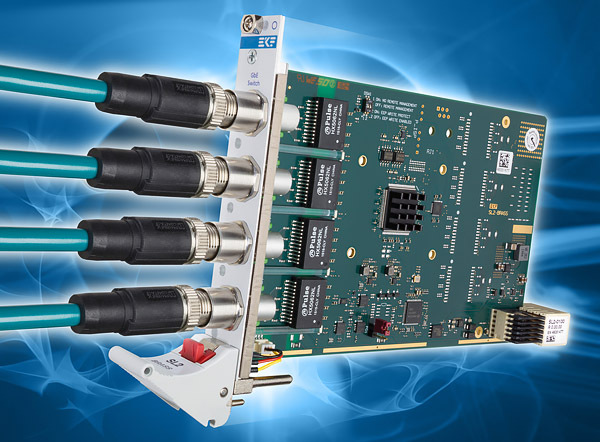 As the main component, the SL2-BRASS is equipped with a Marvell® 88E6390 Gigabit Ethernet switch. 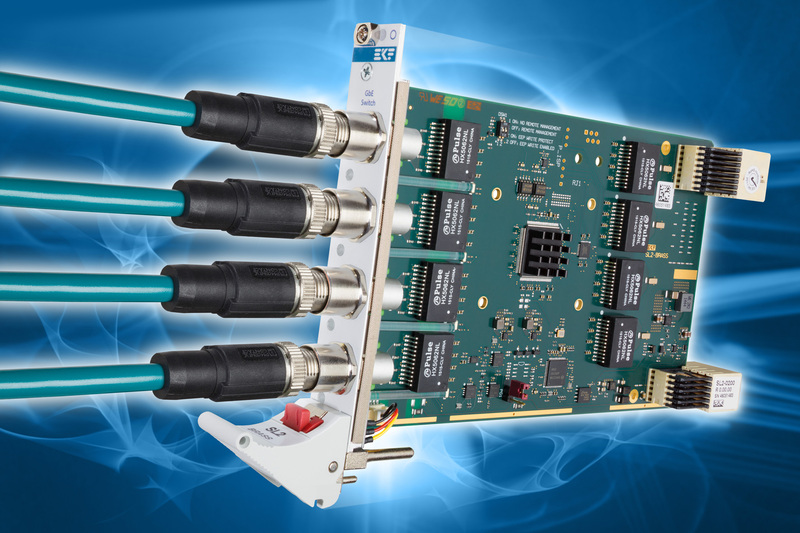 This device provides eight ports with integrated Gigabit Ethernet transceivers (PHY) and another three MAC ports with digital interfaces (2 x SerDes/SGMII, 1 x RGMII). A total of nine GbE ports are in use on-board, wired to the front panel receptacles (4), and the CompactPCI® Serial backplane connector P6 (up to 4). One of the SerDes ports is connected internally to the optional on-board Gigabit Ethernet controller. 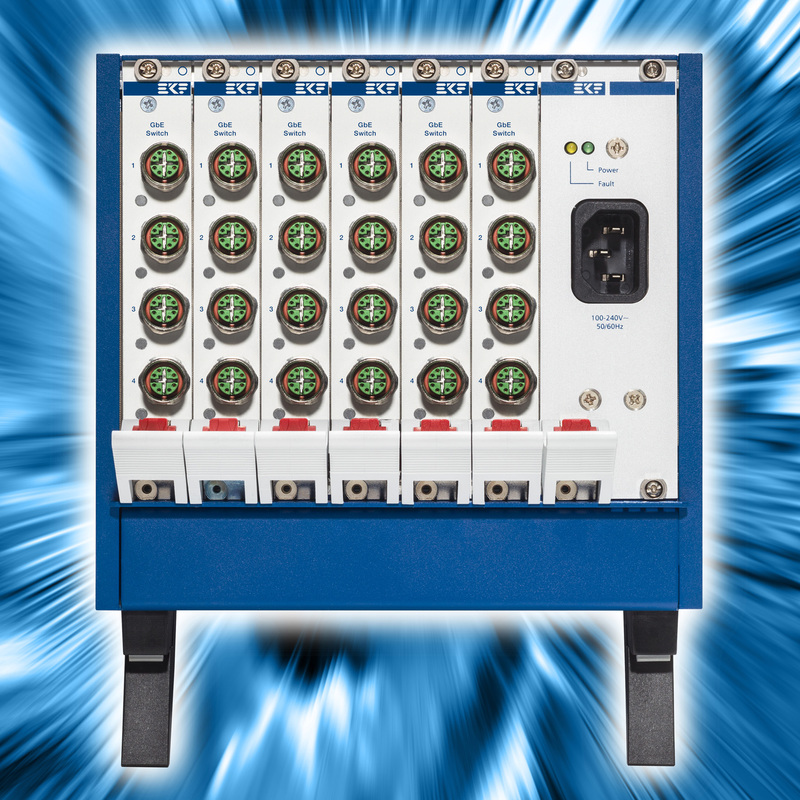 The SL2-BRASS can be inserted into any CompactPCI® Serial peripheral slot. 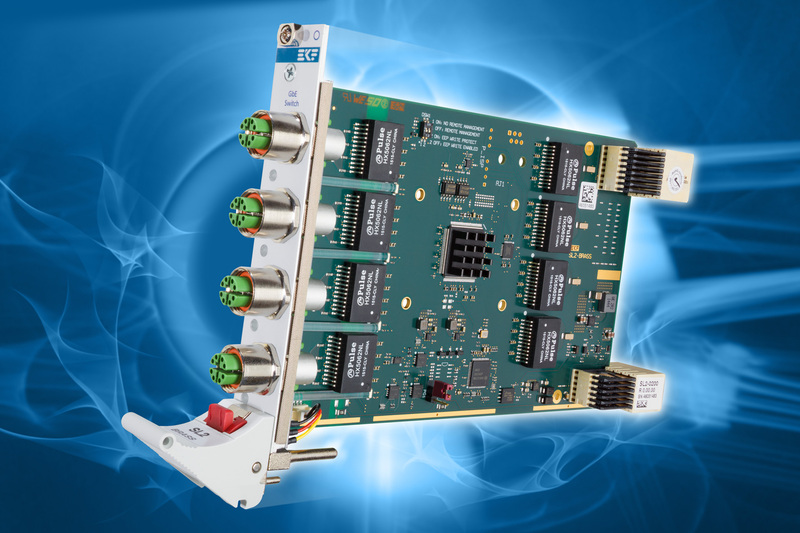 A single PCI Express® lane would be sufficient for communication via the on-board Gigabit Ethernet controller. 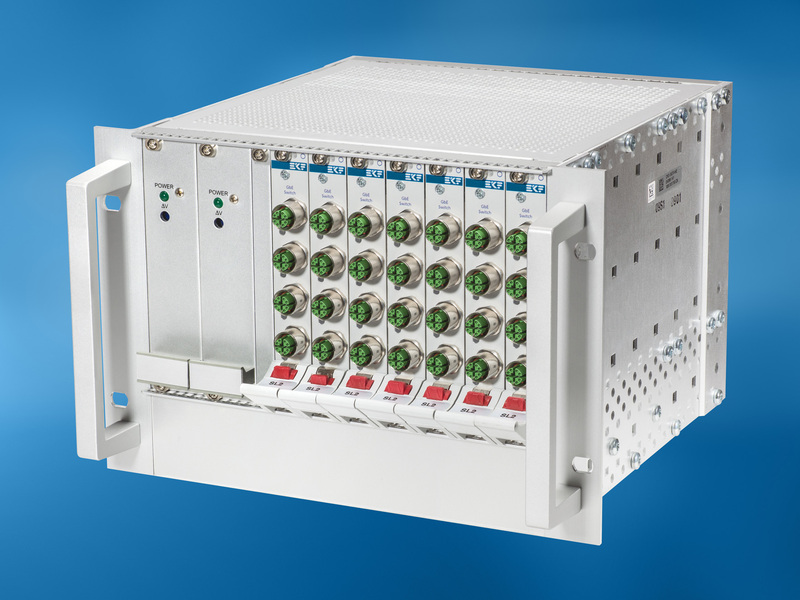 The CompactPCI® Serial backplane connector P1 is populated anyway, for +12V power supply. 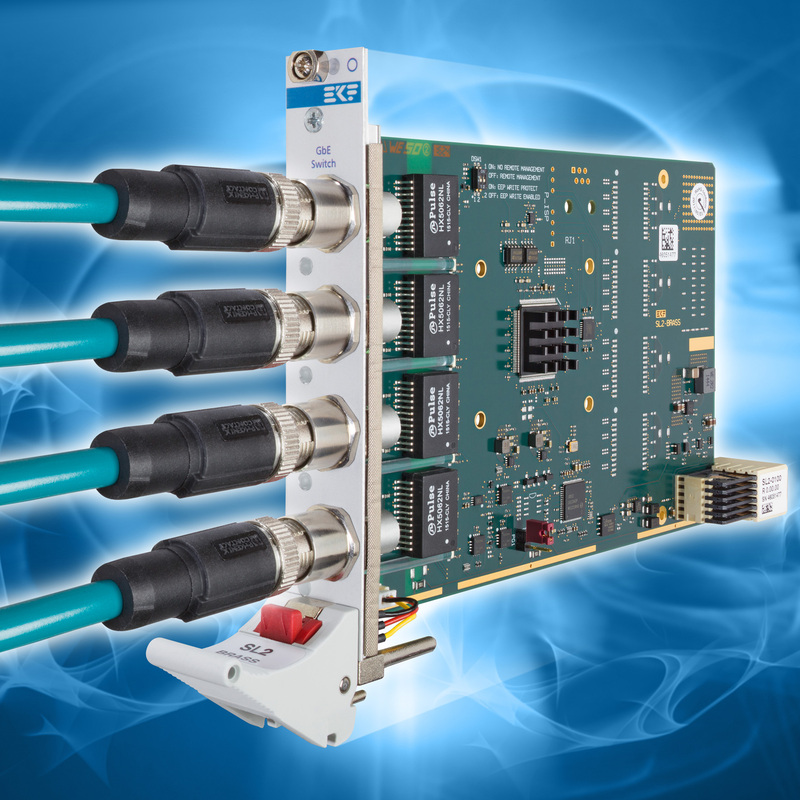 The backplane connector P6 will be provided as an option, to be used with a Gigabit Ethernet star architecture, which would allow to cascade up to eight SL2-BRASS cards with or w/o need of a CPU card.